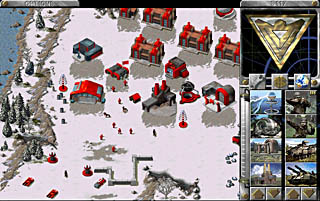 Command & Conquer: Red Alert is the second game in the Command & Conquer (C&C or CnC) franchise series of real-time strategy computer game. Command & Conquer (C&C): Red Alert was produced by Westwood Studios and released by Virgin Interactive in 1996. Although it’s successor to original Command & Conquer of 1995, Command & Conquer Red Alert is actually prequel to the original Command and Conquer C&C1. C&C Red Alert takes place in the unspecified period in the 1950s during early history of the alternate universe of Command & Conquer, a parallel universe which was inadvertently created by Albert Einstein to prevent the horrors of World War II, when Allied Forces battle an aggressive Soviet Union for control over the European mainland. Command & Conquer: Red Alert was originally released for PC running on MS-DOS and Windows 9x (95, 98, Me) legacy operating system, and was subsequently ported to PlayStation, PSP and PS3. It’s one of the most popular computer games, and was praised for its user interface, which claimed to be more developed than the competing games of its time, and was one of the first games to feature competitive online play. Players could queue commands, create unit groups that could be selected by a number key, and control numerous units at a time. The game was known to be easy to control, simple to learn and responsive to users’ commands. It also featured two factions that had differing styles of play. The single player campaign also received high praise for its detailed story line and missions, which often required the player to defeat the enemy with various sets of circumstances before continuing, and was complemented by live action cinematic sequences. On August 31, 2008, which marked the 13th anniversary of the Command & Conquer gaming series, EA officially rendered Command & Conquer: Red Alert freeware, which can be downloaded, installed and played for free by everyone without payment or credit card required. There are two versions of Command & Conquer Red Alert game ISO images available – Allied or Soviet. The free full version game download is available in ISO format. The download will be in RAR format, which will extract the game ISO image, which can then be burned into a CD disc or mount in virtual virtual CD/DVD-ROM emulator. After installing the game, do remember to apply the patch inside XP_Patch folder too. Command & Conquer Red Alert only officially supports Windows Me down to Windows 95, but not Windows XP, Vista or Windows 7. Instead, an error message “Red Alert can only be installed on Windows 95” if an installation is attempted on non-supported operating system. However, by setting the compatibility mode to run the setup installer and game executable to “Windows XP”, the game can be installed and played. Users who having problem, using 64-bit (x64) OS, or want No-CD hack, can install Red Alert by using Red Alert Manager 0.98, a program that manages the installation, program updates and Vista compatibility in one easy installation.